In 1988, the Integrated Individual Fighting System (IIFS) was adopted by the Army. 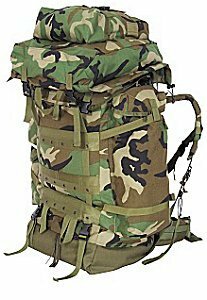 The design was based on commercial backpacks modified for military use with the addition of a special fighting vest and a detachable patrol pack. The original focus was to develop a load-carrying system for use in cold weather. However, in the final analysis, the Army selected the new internal frame system as a replacement for the external framed All-purpose Lightweight Individual Carrying Equipment system. The IIFS was designed to improve efficiency through more even distribution of the load weight and reduced bulk. The components of the system are constructed of lightweight materials to reduce overall weight. 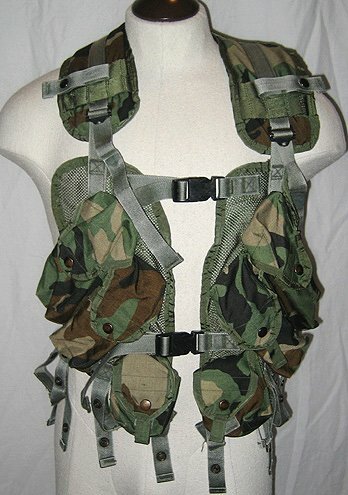 The system replaced the concept of a shoulder-harness and equipment belt design with concept of a tactical load bearing vest. The IIFS is composed of eight separate equipment and clothing items that, when used together will lighten individual combat loads. Field Pack, Large, with Internal Frame (FPLIF), which is also known as Combat Field Pack M1990 (CFP-90). TM 10-8400-203-23. 1990. Chapter 21.